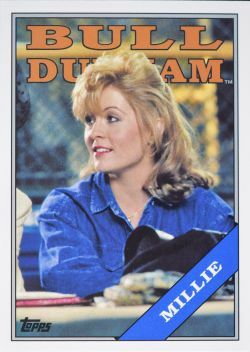 Yesterday I excited to receive my third Bull Durham 1988 Topps inspired custom card back autographed. This one signed by Jenny Robertson who played "Millie" -- with the other two being Kevin Costner and Robert Wuhl. I've got a few more from this set I made that are pending. Fingers crossed on those.